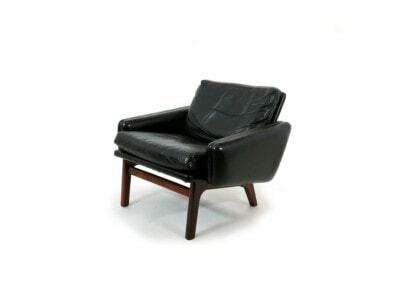 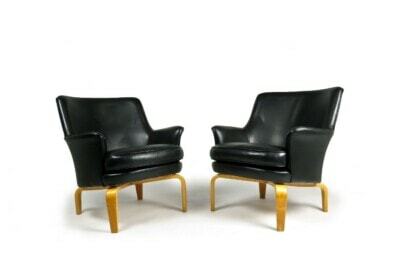 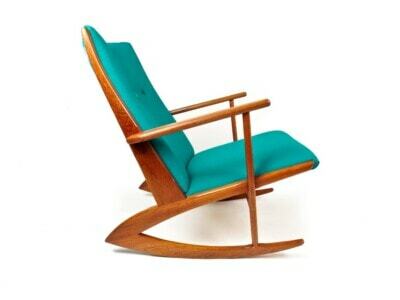 An original Fritz Hansen armchair model number 1669 from the 1940’s. 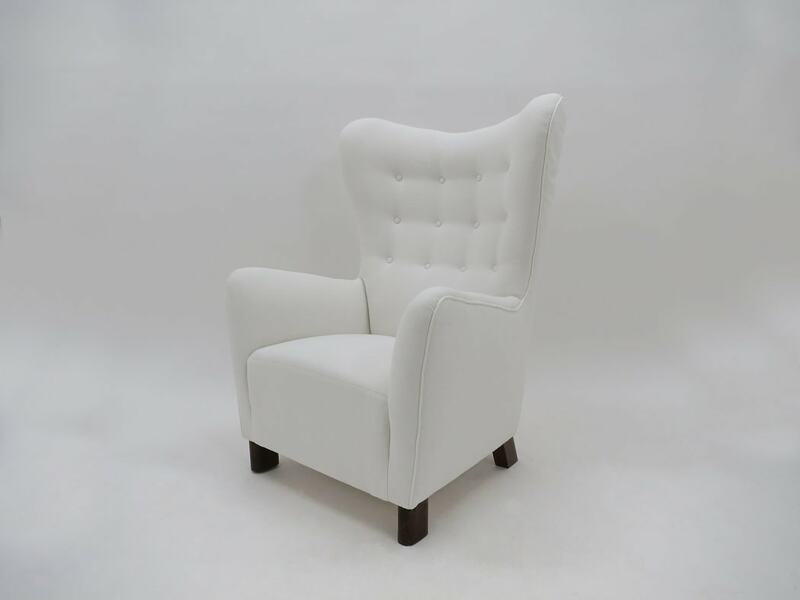 This wing back armchair has been reupholstered in a linen cotton mix, resting on lozenge shaped diagonal mahogany legs. 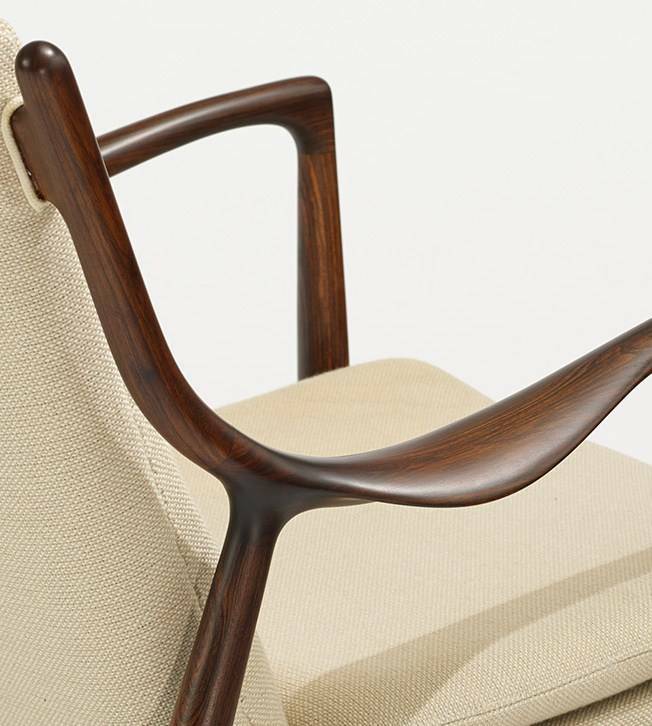 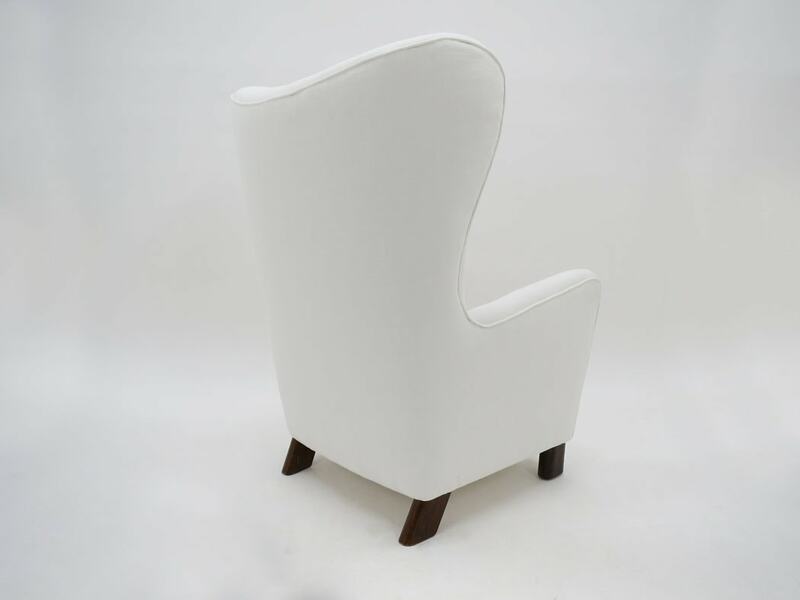 A very beautiful armchair with lovely curves and organic forms that showcases cutting edge Danish design from the 1940’s. 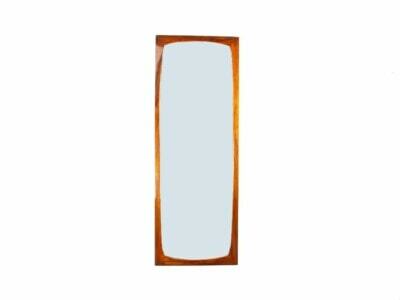 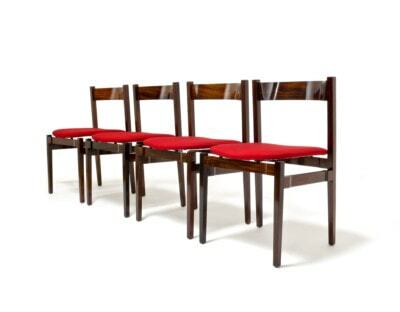 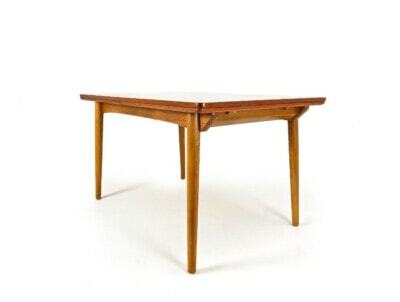 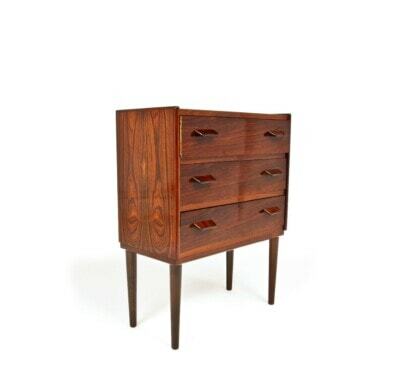 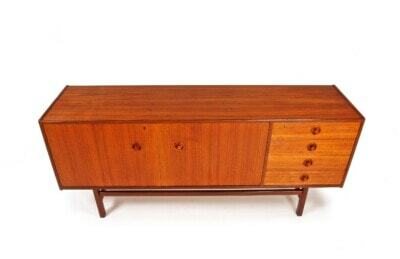 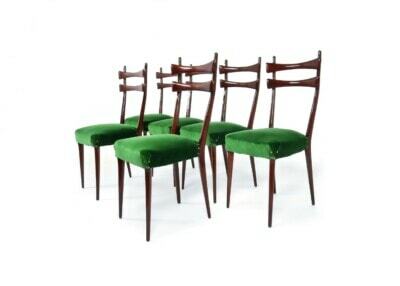 Fully restored and in an excellent original condition. 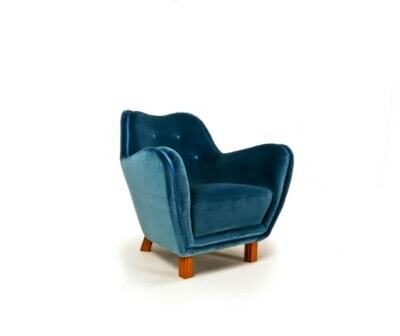 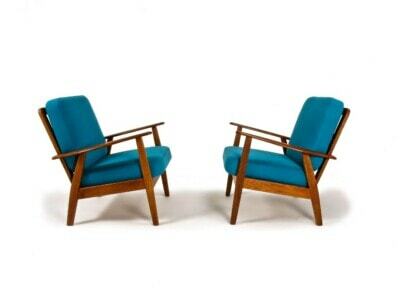 A beautiful highback armchair, an in house design by Fritz Hansen from the 1940’s. 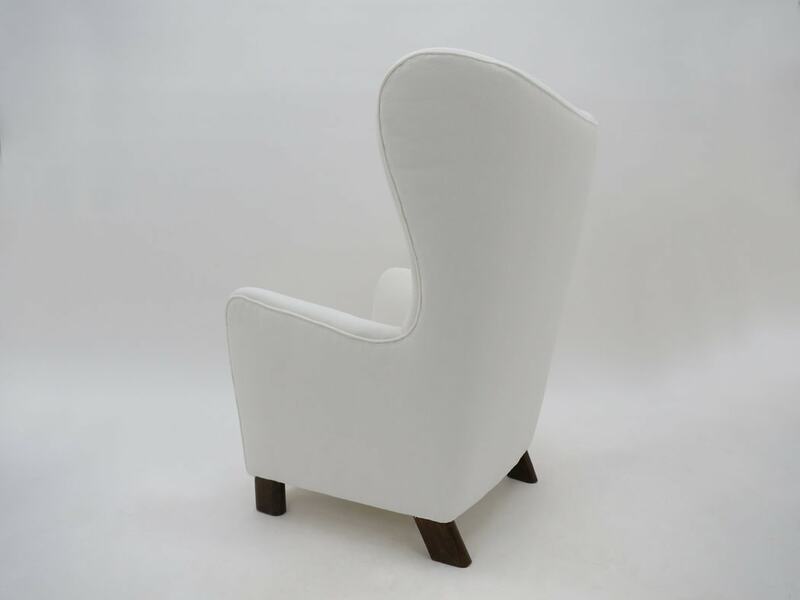 Beautiful organic curves and flowing lines, and the interesting solid slanting feet is what makes this armchair so desirable. 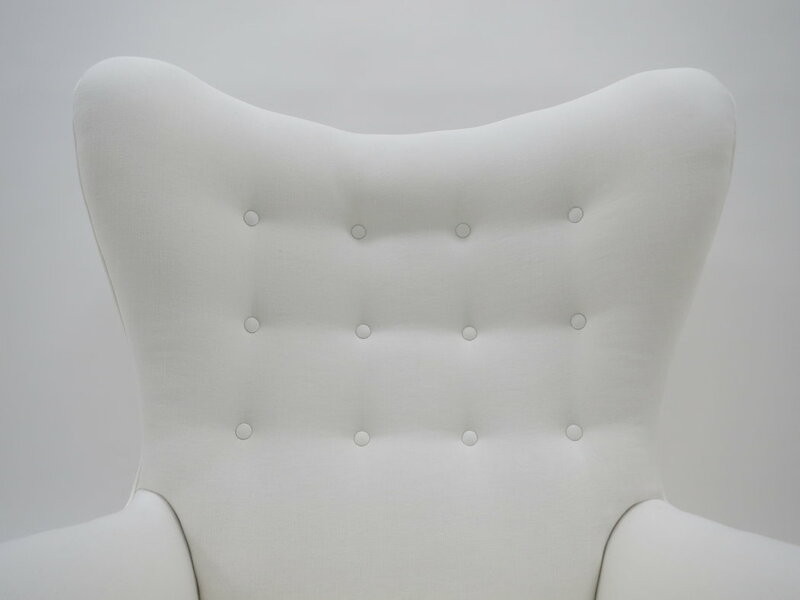 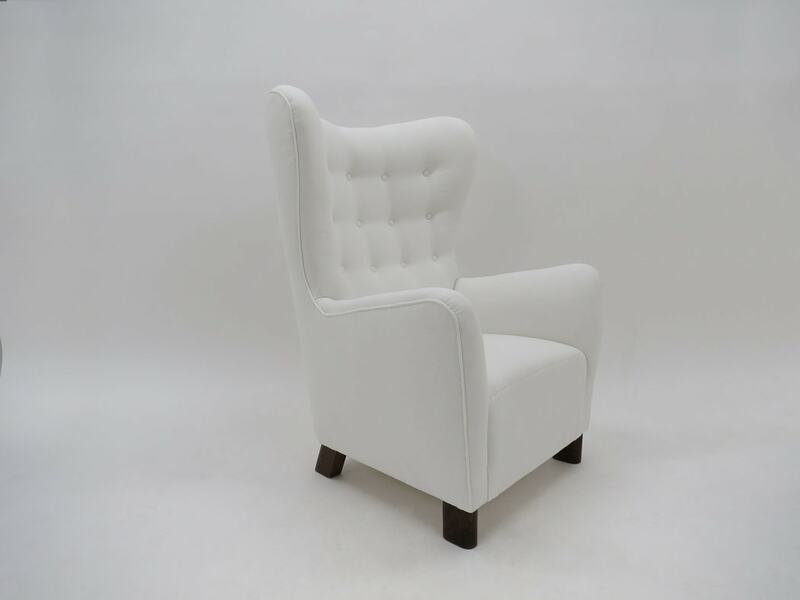 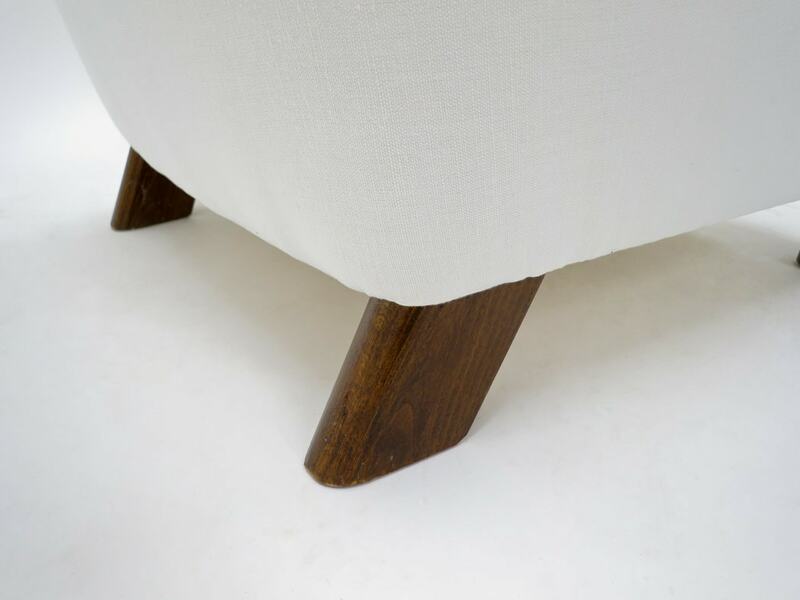 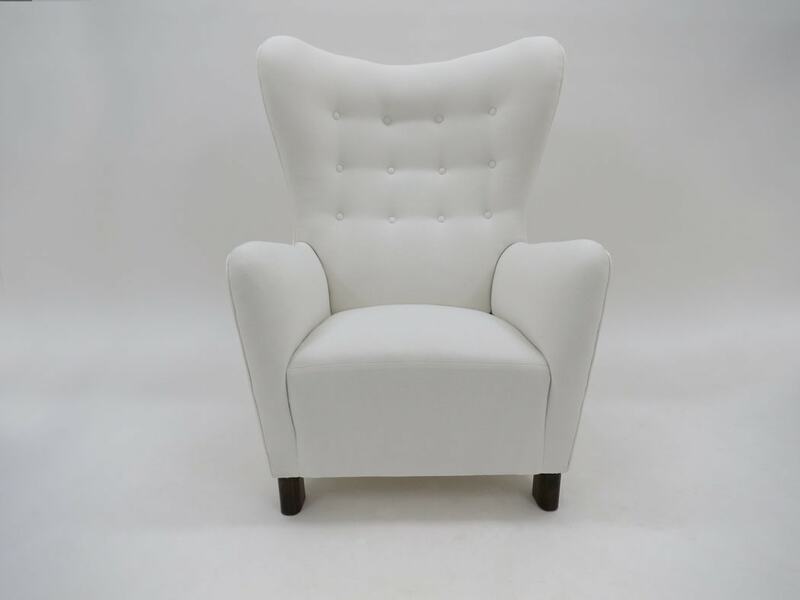 Newly upholstered in a button back design in an simple and elegant white fabric to really extenuate the curves and forms of this lovely piece.